Success would be measured by an increase in conversion rate, customer feedback and faster page load speeds. 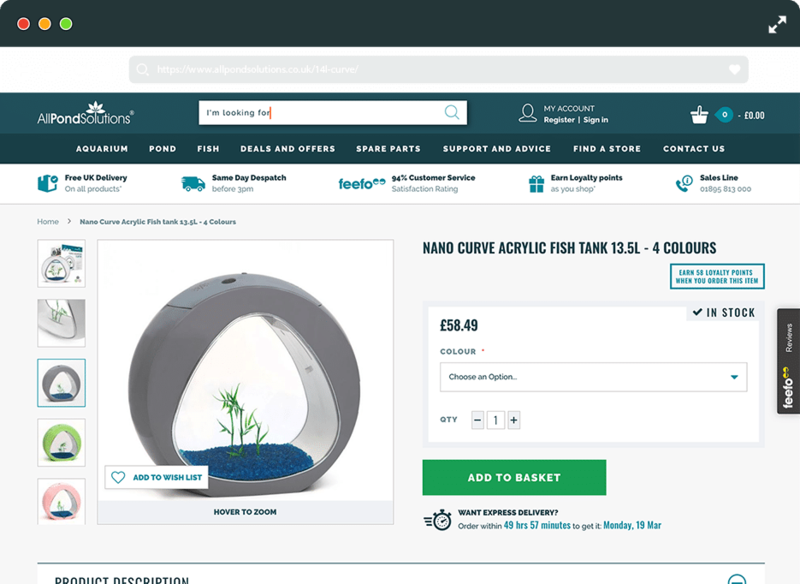 All Pond Solutions was re-platformed to the Magento Commerce Cloud platform and we redesigned the site from the ground up based on our research of their customers. The site includes an advanced AI search engine powered by Klevu and and custom built navigation system to enable a simpler customer journey. The results speak for themselves with a 16% increase in revenue, 20% increase in conversion and the speed of the site significantly improved with less than a 2 second load time.